This dissertation investigates and discusses strategies and technologies to create motivational learning environments. We are interested in identifying tools to motivate learning in different environments, such as blended or fully-digital learning. How can we use strategies inspired by highly motivational tools such as video games to engage learners? How can we utilize emerging technologies such as virtual reality to make STEM education more interesting? To answer these questions, we introduce a conceptual model to create motivational learning environments based on immersion and engagement. This thesis demonstrates how systems based on strategies and tools supporting engagement and immersion can be used to motivate and support the new generation of learners. These scenarios point to a future where digital engaging, immersive, and collaborative learning experiences are a central element of in-class, and also of remote learning. Maroon (2013-now) is an award-winning interactive physics laboratory and experiment environment implemented, designed for active learning in the classroom or at home. It visualizes and simulates various physics experiments (at the moment solely electromagnetic experiments) and supports room-scale but also mobile VR experiences. Pirker, J., Lesjak, I., Parger, M., Gütl, C. (2017, March) An Educational Physics Laboratory in Mobile Versus Room Scale Virtual Reality – A Comparative Study. In Remote Engineering and Virtual Instrumentation (REV), 2017 13th International Conference on. IEEE. Pirker, J., Gütl, C., Belcher, J.W., Bailey, P.H. 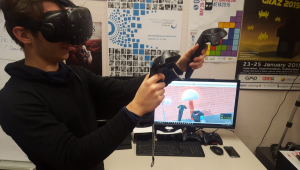 : Design and Evaluation of a Learner-Centric Immersive Virtual Learning Environment for Physics Education. SouthCHI 2013: 551-561. I analyze data with machine learning techniques and graph theory to understand human behaviour and engagement within social systems such as Twitter and Facebook, engaging systems such as video games, or live-collaborations such as game jams or hackathons. Pirker, J., Griesmayr, S., Drachen, A., & Sifa, R. (2016, September) How Playstyles Evolve: Progression Analysis and Profiling in Just Cause 2, 15th International Conference on Entertainment Computing. Pirker, J., Khosmood, F., & Gütl, C. (2017, February). Social network analysis of the global game jam network. In Proceedings of the Second International Conference on Game Jams, Hackathons, and Game Creation Events (pp. 10-14). ACM. Improving and researching computer science education to raise the number of students interested in this fantastic field is definitely one of my ongoing efforts. Also to make it more interesting and engaging for students (also for female students!). One project in this field is “MAL” (Motivational Active Learning), which was also nominated for the “Oscar’s of education” in the field of blended learning. Another recognized project is the international project “Interdisiplinary Game Project”, where we bringt together international students from different fields (inlcuding CS) to develop games together over the course of one term. Pirker, J., Riffnaller-Schiefer, M., Tomes, L. M., & Gütl, C. (2016). Motivational Active Learning in Blended and Virtual Learning Scenarios: Engaging Students in Digital Learning. In Handbook of Research on Engaging Digital Natives in Higher Education Settings. IGI Global. Pirker, J., Riffnaller, M., Gütl, C.: Motivational Active Learning – Engaging University Students in Computer Science Education – Proceedings of the 19th Annual Conference on Innovation and Technology in Computer Science Education, June 23-25, Uppsala, Sweden 2014. I am currently working on a graph-based tool to calculate the path-length between two (game) developers ( e.g. 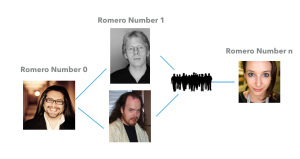 the Romero number or Carmack number). Based on the social network measure a new form of social engagement can be created. 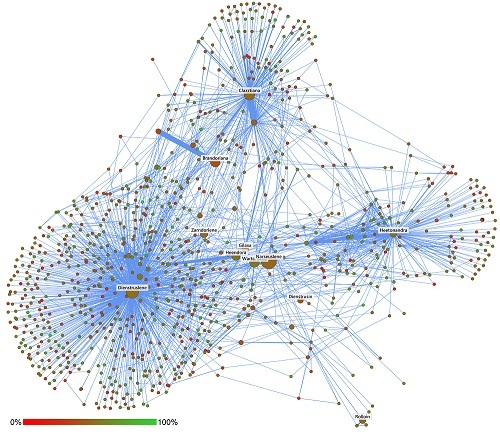 Similar to the Small World Problem or the Erdos number, the collaboration graph can be used to give information about the collaboration between developers. In the game jam context: In game jams, the tool can be used to, and engage young developers in game jams setups to collaborate with new jammers, or jammers at different locations. As a gamification tool, jammers could be motivated through their ”degree”, or the path length to another person (e.g. a famous game developer, the ”Carmack number”) to collaborate with new jammers. This tool will be also used to get insights into personal “development” connections.